"[O]bserve that in all the propaganda of the ecologists—amidst all their appeals to nature and pleas for "harmony with nature"—there is no discussion of man's needs and the requirements of his survival. Man is treated as if he were an unnatural phenomenon. Man cannot survive in the kind of state of nature that the ecologists envision—i.e., on the level of sea urchins or polar bears. . . . There are differing schools of thought regarding when concern for the environment started. Below are a few examples of this. Some environmental activists speculate that one of the first scholars to touch on the subject of sustainable development was Thomas Malthus. 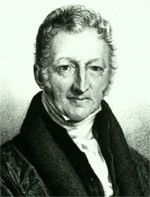 In his book An Essay on the Principle of Population, Malthus postulated that the dangers of population growth would preclude the inevitable progress towards a utopian society. He stated “The power of population is indefinitely greater than the power in the earth to produce subsistence for man”. 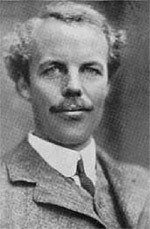 Another scholar that is credited in early development of sustainable development as a concept was Arthur Pigou. In his book Wealth and Welfare, he originated the idea that governments can, via a mixture of taxes and subsidies, correct perceived market failures or “internalized externalities”. Pigovian Taxes, taxes used to correct negative externalities, are named after him. A “pollution tax” would be an example of a Pigovian Tax. 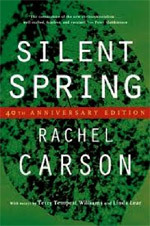 Publication of Rachel Carlson’s Silent Spring was a watershed moment in the environmental movement in the United States. The primary purpose of the book was to instill fear into the population regarding pesticide, especially dichlorodiphenyltrichloroethane or DDT, and other synthetic chemicals using claims based upon selectively presented suspect scientific evidence about harm to wildlife. Silent Spring was the first modern example of environmental alarmism, with an impact that resulted in one of the first new acts for the newly-formed EPA to ban DDT in 1972. The United Nations Stockholm Convention also banned DDT. In its early years, EPA had little scientific capability or understanding-indeed, now the familiar scientific disciplines relied on to inform regulations were in their infancies. DDT is a very effective and inexpensive means of controlling the mosquito population that spreads the disease malaria. Improved understanding of how DDT works have shown that, were it not banned, it effectively controls mosquitoes when applied at much lower concentrations that were used to deleterious effect in the post-war period. Since the ban, millions of lives have been lost because alternative products are less effective and more expensive to manufacture, a concern when most countries that have a high prevalence of malaria are very poor. The DDT ban is perhaps the earliest instance of environmental regulation based on the Precautionary Principle. “Free the Fight Against Malaria”, Richard Nchabi Kamwi-Wall Street Journal, November 8, 2010. It is difficult to discuss the concepts of the Precautionary Principle (PP) and Sustainable Development (SD) as separate ideas since the two concepts are interconnected. 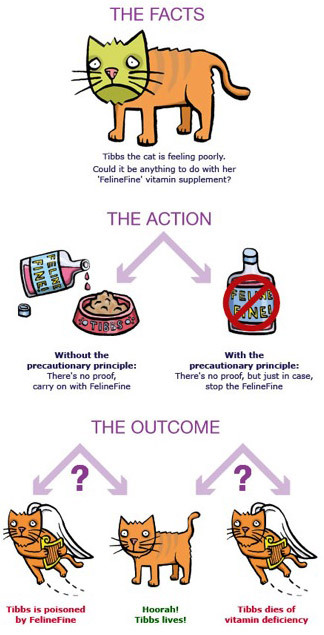 The definitions of Precautionary Principle and Sustainable Development and much of the rhetoric associated with both concepts, there are serious inherent inconsistencies that result in flawed regulatory applications that have damaging consequences. In the case of the DDT ban, the consequences included millions of preventable deaths in poverty stricken nations. This website is dedicated to understanding the history, definitions, ideologies, successes and problems of the Precautionary Principle and Sustainability Development from philosophical constructs into real world regulation. We encourage the reader to verify the information disclosed on this site.